Surrounded by monsters and creatures even my wildest dreams couldn't conjure up, I find myself talking to the energetic, jack-of-all-trades artist, Zack Rudy, in his natural setting – a studio space turned museum of cryptozoological creations. Rudy’s fascination with monsters comes from childhood inspirations like Jim Henson, the creator and visionary behind The Muppets, Dark Crystal and the goblin-clad, cult-classic, Labyrinth. Rudy also found inspiration in comic books; all of which led him to proclaim at just 7-years-old that he wanted to be an artist. 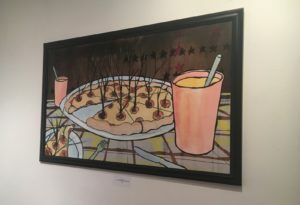 Rudy’s recent exhibit at nearby Metropolis Collective has turned the talented artist into a culinary master. Culinary Delights featured 12 pieces of recognizable foods, but with a twist. In the corner of the gallery, an oversized, fiber-glass loaf of bread stops gallery-goers in their tracks. 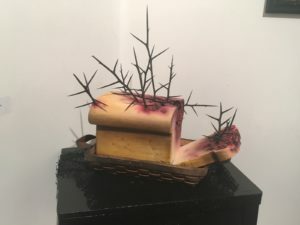 Its protruding thorns and “eww”-worthy purple hue make the bread unlike any you’ve ever seen before. “It’s food that bites back,” exclaims Rudy. The idea for Culinary Delights came when Rudy was looking for a way to deviate from the work people have come to expect from him. “I was thinking what can I do that would be an attraction for different kinds of people,” Rudy says. A painting, called “Something Caught in My Teeth,” shows that Rudy is dynamic, branching out to different mediums, never taking his work too seriously and always welcoming a chance to try something new. 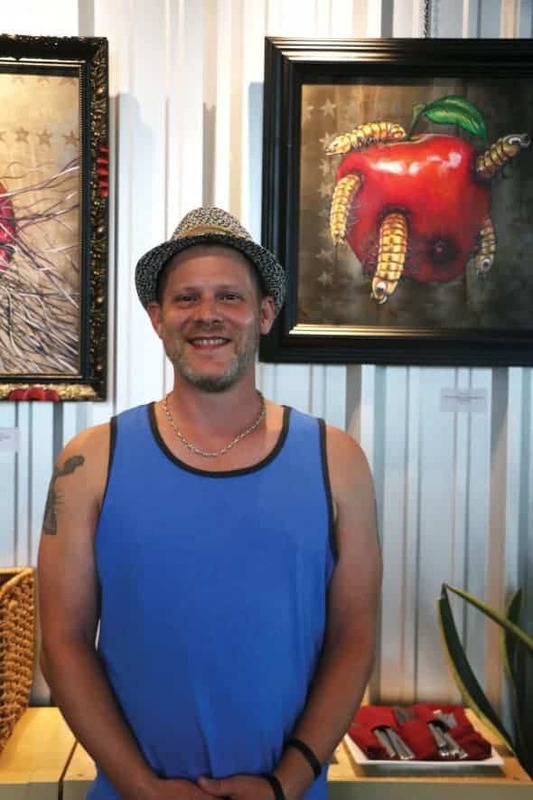 In addition to Culinary Delights, another project that is important to Rudy is a collaborative effort between himself and fellow artist Garrick Dorsett. 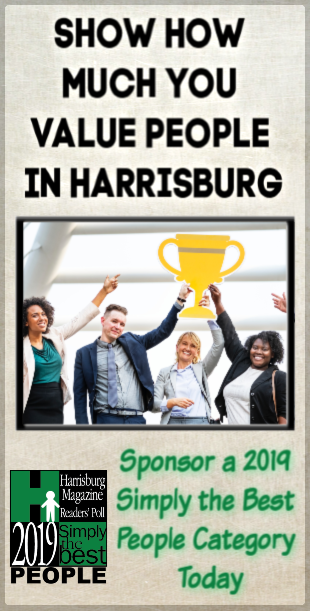 The duo dubs themselves “The Huckle Buckle Boys.” Rudy and Dorsett enjoy creating imagery from memories of growing up in Central Pa. together. “Our art is storytelling. …It’s from real life stories, but also embellished in our own kind of way to make it as fantastic to the viewer as it was to us when we saw it,” he says. While preparing for the Culinary Delights exhibit, Rudy was still working on completing another project, a mural that demanded 12-hour days for more than three weeks. Determined to complete the work on-time and to his own contentment, Rudy pushed his own limits to the point of total exhaustion. Despite the long hours, Rudy’s passion for art keeps him creating work that draws the admiration of viewers. Culinary Delights has drawn so much interest that it will be getting a second installment. 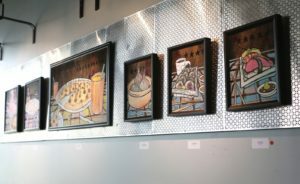 Culinary Delights II will be on display at Café 1500 in Harrisburg beginning August 18th and runs through September 12th. We recommend you look, but don’t taste. Next post: Inspiration. Art. Application.